Businesses put a great deal of time and effort into their brands, and one of the most important components is the company name, also known as the trade name. The name is often representative of its entire philosophy and the first thing that potential customers recognize about a company. Once a business has established its customer base, its name becomes its calling card, something that signals to consumers that they can expect the same level of products and services that initially made them a customer. Unfortunately, sometimes others take advantage of a company’s good name by infringing upon it or using the company’s name without its permission. Thankfully, in most cases, when this happens, trademark lawyers can help trade name infringement victims fight to protect the solid reputations that they spent years, even decades, building. The Los Angeles trademark infringement lawyer at our office can help you in such a case. Don’t become the victim of trademark infringement. Seek professional assistance immediately. The lawyers and attorneys at our office have handled trademark litigation cases across Los Angeles California. How Much Damage Can Trade Name Infringement Do to My Business? The level of damage that can be inflicted upon a business due to trade name infringement is more devastating and far-reaching than many realize. 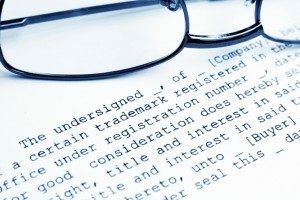 This can be especially true for businesses that fail to register a trademark for their name, because it can leave them more vulnerable to trade name infringement. The intellectual property lawyers at our office in Los Angeles California have helped businesses register trademarks and protect their intellectual property. What Can a Trademark Lawyer Do to Help Trade Name Infringement Victims? To learn more about how Los Angeles trademark attorney Robert G. Klein can help you if your business is suffering due to trade name infringement, call directly at (323) 405-1002 or fill out the online form on this page to contact our trademark lawyers. During the initial consultation, you will be given the opportunity to discuss your case with a Los Angeles trademark infringement lawyer directly.